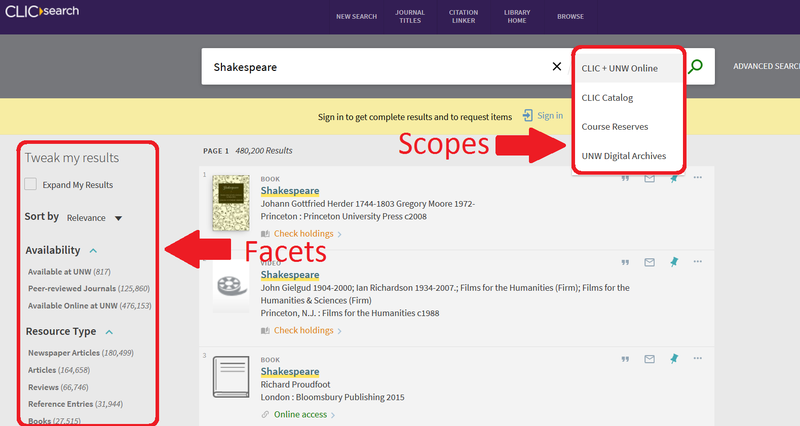 CLICsearch has many built in facets on the left side of the page to narrow to specific types of results. You can include or exclude types of resources, limit to local library collections, and more. You can also use the scopes in the search bar to narrow or broaden the resources you’re looking at. If you want to see all catalog items with a specific author or subject, use the Browse feature at the top of the page. Other fields like Series, Genre, and ISBN/ISSN can be searched in the Advanced Search.